All you can eat Buffet. Whats your favorite Dessert? We have something for every sweet tooth! 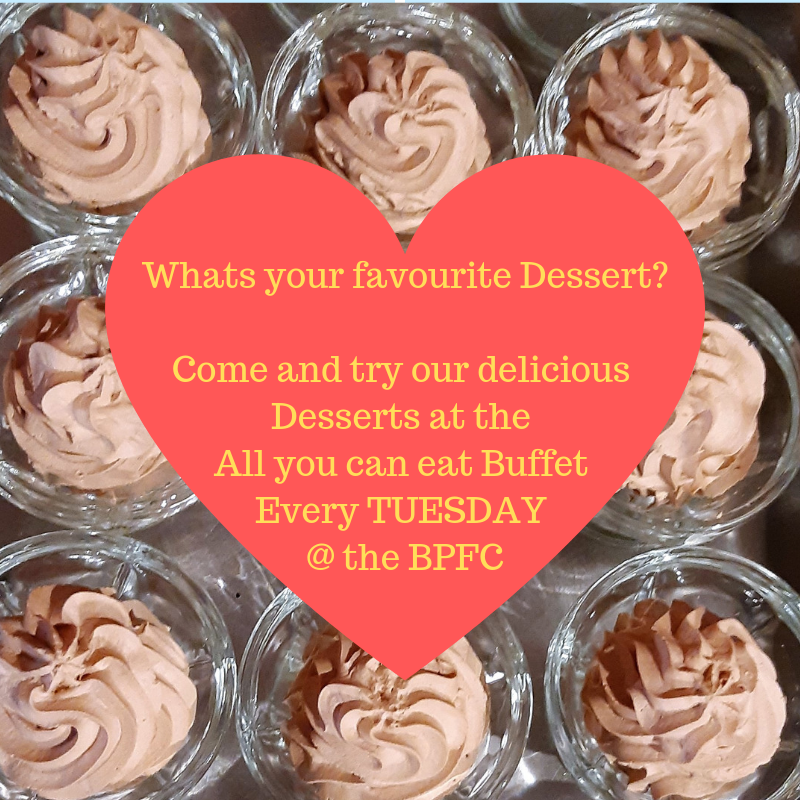 One of our favorites at Bendigo Pottery Function Centre is the delicious Chocolate Mousse that is a regular at our All you can eat Buffet on Tuesday nights. We have so many yummy desserts! There is always something scrumptious to try. White Chocolate Mousse, Coconut Cherry Slice, Choc Mint Slice, Trifle, Apple Danish, Cheesecake, Berry Cheesecake, Banana Cake, Carrot Cake, Chocolate Cake to name a few. And of course desserts for the kids, Jelly, Ice Cream, Icy Poles and Cookies. Bendigo Pottery Function Centres All you can eat Buffet from 6pm EVERY Tuesday. Great Value at $22 for adults, $11 for kids 7 to 13 and kids 6 and under eat for FREE! Phone 0404 943 069 to book a table.